This post goes out to the Holling clan. Stonehenge has always been a special place to our family. This article made me really angry and sad. People can be so selfish and stupid. I'm bothered. Stupid! 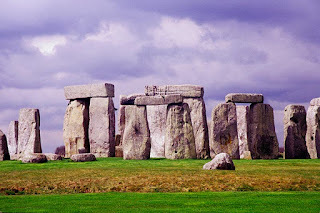 You know, I got to go walk around in the stones and touch them when I was on study abroad. I'll bet they won't let people do that anymore. Sad. I don't like sad posts, but sad posts are better than no posts.